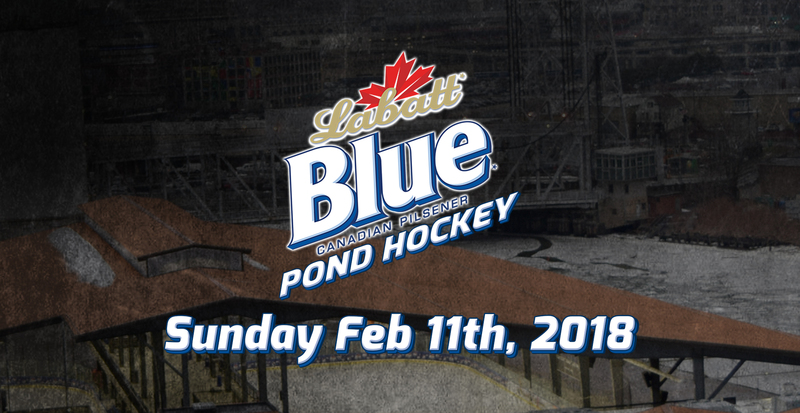 Welcome to the 11th year of Labatt Blue Buffalo Pond Hockey. Please note the following changes for this year’s registration process. 1) The registration process is on a first come first serve basis. It is no longer a lottery system. Once you make your payment you will have a guaranteed team spot. Following your team registration you will receive additional tournament information from ed@labattbluepondhockey.com within 24 hours. 2) Payment of $300 will be due at time of registration. Payment is paid via credit credit. 3) Rosters can be entered now or up to the roster freeze on Friday Dec 29th. 4) There is 2 tournaments this year. You can sign up for either event or both. The first tournament will have all games including playoffs on Sunday Feb 11th, 2018. The second tournament will play one game on Tues 13th-Fri 16th in the evening. Then the remaining 2 games plus playoffs will be played either Saturday Dec 17th or Sunday Dec 18th, 2018. 5) Game schedules will be provided 2 weeks prior to the event dates.